Your MLB team rules this state! 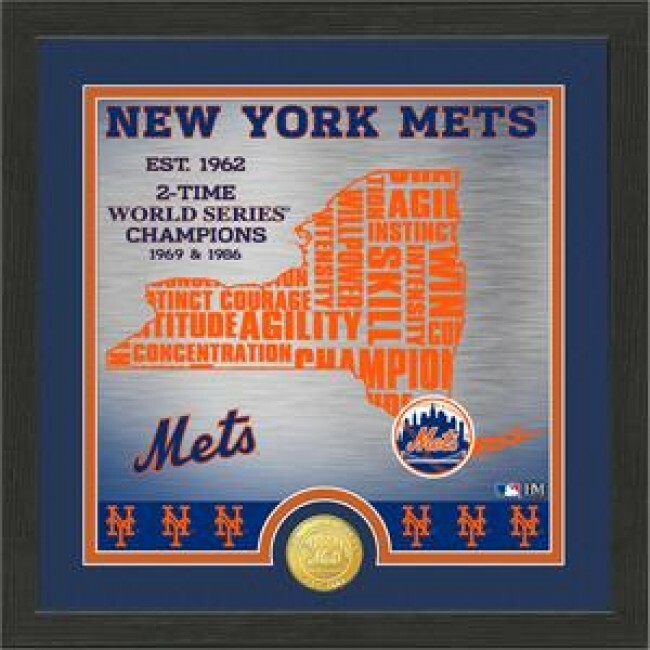 A 13"x 13" black wood frame with double matting features a custom "State" design for your favorite MLB team. Each custom photo is matted under glass with a 39mm minted bronze commemorative coin struck with the official team logo and established date. 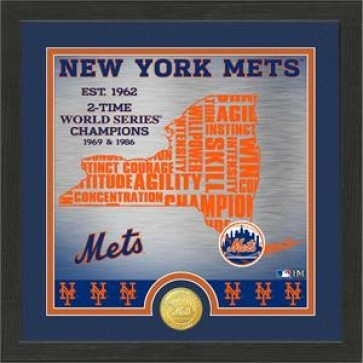 Officially licensed by the MLB, each collectible frame is accompanied by a certificate of authenticity. Proudly made in the USA by The Highland Mint.